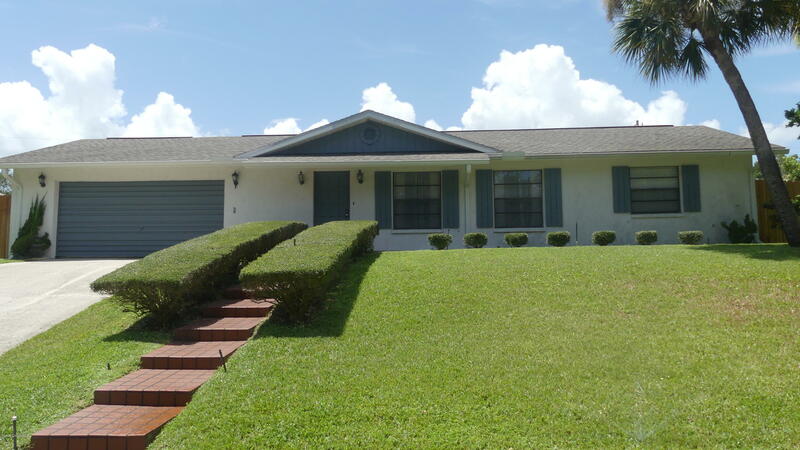 3211 Buckingham Lane, Cocoa, FL.| MLS# 827104 | Free Brevard County MLS Home Search. No Agent Needed. Daily Auto-Email Listings of All Brevard County Homes and Listings For Sale That Meets Your Home Buying Criteria. Brevard County Real Estate Market Information. Lovely highly well-maintained pool home in desirable High Point riverfront subdivision with private dock. The inside & outside of this home is immaculate and shows pride of ownership including the manicured landscaped lot with sprinkler system on reclaimed water. What a great floor plan, from the large living room and dining area to the oversized galley kitchen with granite counter tops and lovely wood cabinets, that open into the family room. The deluxe private master suite with private pool entrance has large refurbished walk-in shower. 2 Sliders open in to the private pool area with large covered porch great for entertaining. The sparkling pool has recently been resurfaced. There is also an attached workshop and detached storage shed and the back yard has a 6ft high privacy fence.